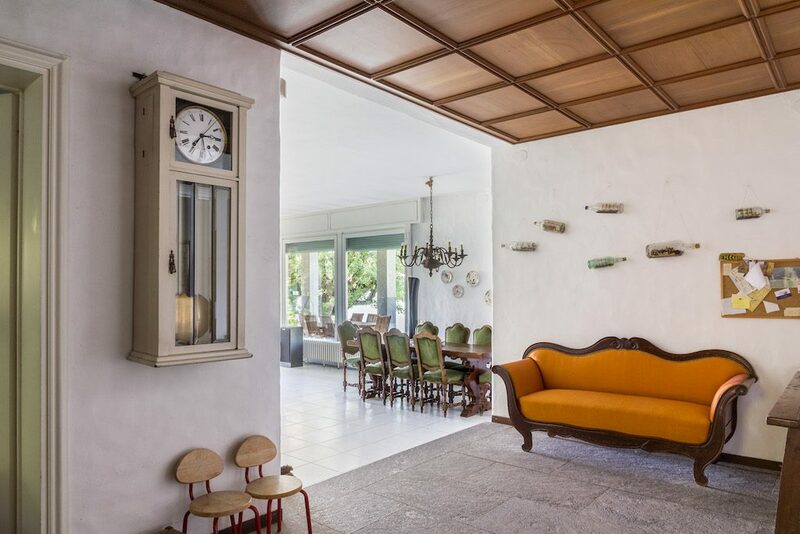 Located in 3,870 m2 of private parkland, Villa Folaga can be found on the banks of Lake Iseo tucked in between the towns of Paratico and Clusane. The property offers four spacious bedrooms and three bathrooms as well as a kitchen and large lounge area with sliding doors offering fantastic views of the lake. The property interior requires some modernisation, making Villa Folaga a perfect opportunity for those looking to create their own, bespoke holiday home space. The villa’s ground features lush, rolling lawns with lush vegetation and tall trees and a private pool measuring 20 x 10 metres. This parkland also provides exclusive access to 150 metre stretch of shoreline that is completely open with the potential to construct a private jetty. The grounds also provide space for private parking with enough space for several vehicles. This luxurious villa and romantic setting and views combine to make Villa Folaga an incredible living experience. Enquire today to avoid missing out on this unique property opportunity. More information can be found on the villa’s dedicated website.